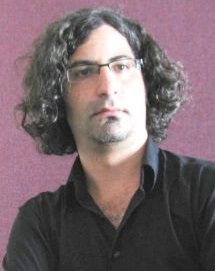 Golan Gur, PhD, is a musicologist specializing in aesthetics and cultural history of music, with a particular emphasis on nineteenth- and twentieth-century German culture and the intersection between historical and interdisciplinary research approaches. Born inIsrael, he attendedTelAvivUniversitywhere he earned his bachelor and master degrees. He pursued further graduate studies at the Ludwig Maximilian University of Munich and completed his doctoral dissertation at the Humboldt University of Berlin in 2012. He taught atTel-AvivUniversity, atHumboldtUniversityand at Berlin University of Arts. He was a visiting scholar at the Simon Dubnow Institute of theUniversityofLeipzigand the Paul Sacher Stiftung,Basel. His research was supported by fellowships and grants from the City Council of Munich, the Minerva Foundation (Max-Planck-Gesellschaft), the German National Academic Foundation (Leo Baeck Fellowship Programme), theArnoldSchoenbergCenterinVienna, and more. He is currently a Royal Society & British Academy Newton International Fellow at theUniversityofCambridgewhere he works on a postdoctoral project dealing with musical and aesthetic culture in the German Democratic Republic, with an emphasis on Jewish memory. His other research interests include social and intellectual histoty of music, theories of musical meaning, Jewish/Israeli ethnomusicology, Marxist aesthetics, and historical theory and methodology. His dissertation project deals with the Jewish composer Arnold Schoenberg and avant-garde notions of musical progress. The study asks when and why modern composers, especially those influenced by Schoenberg, thought of their music in terms of progress and how this is linked to broader intellectual and social developments in the twentieth century.